Being a winner is all about having a true passion for your sport. thetrilife.com athlete Kate Driskell is a true example of that! In May 2013 Virgin Active Health Clubs launched a national competition to find the 12th member of their Team Freespeed Virgin Active, the UK based amateur triathlon team. The focus was on finding someone who would inspire other triathletes through their passion, lifestyle and visibility. Then, along came Kate, an athlete with REAL passion for triathlon and a full healthy and balanced life beyond her sport. A perfect ambassador to represent the Team Freespeed mission to inspire triathletes of all levels to be the best they can be whilst retaining a balanced work, family and social life. 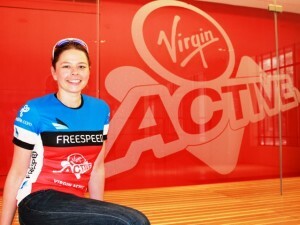 Since thetrilife.com is a valued sponsor of Team Freespeed Virgin Active we are delighted that one of our coached athletes has won this opportunity. Our lead coach Rich Jones has been coaching Kate for the past year, and we are excited to continue to support her as she continues to build on her passion and excel in her performance. Rich has transferred his coaching knowledge to his aspirational athletes to achieve some of the following results – European Olympic champions, World long course medallists, IM podium finishers, Hawaii IM qualifiers, winners of numerous UK domestic triathlon events, national swimming masters champions. Richard is passionate about helping all athletes succeed in what they want to achieve and so is well placed to help Kate achieve her absolute best. We look forward to following Kate’s progress over the coming months! Please also head on over and take a look at these other articles about Kate’s fantastic news.